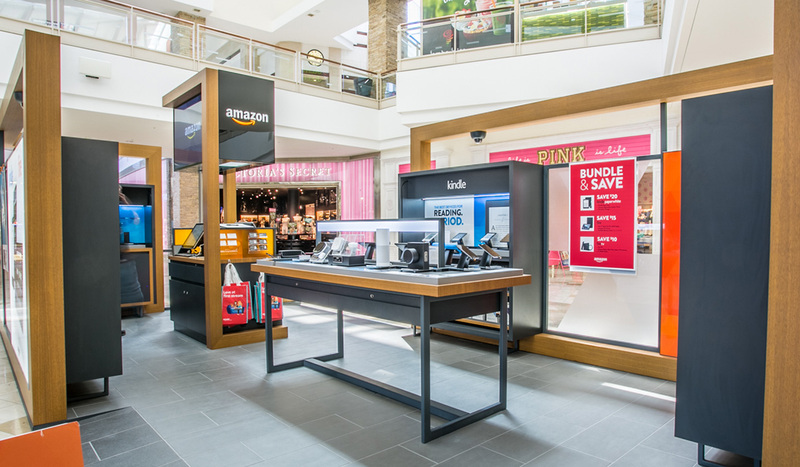 Latitude 33 was hired to construct, in conjunction with Amazon's contracting team, a beautiful new kiosk in Chandler Fashion Square mall. 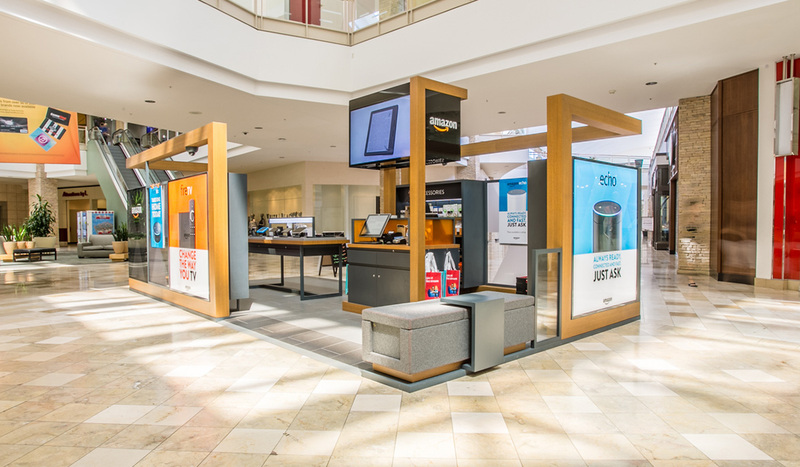 The kiosk's design called for hyper-specific design and construction needs in order to effectively keep everything on brand, effective, and engaging. 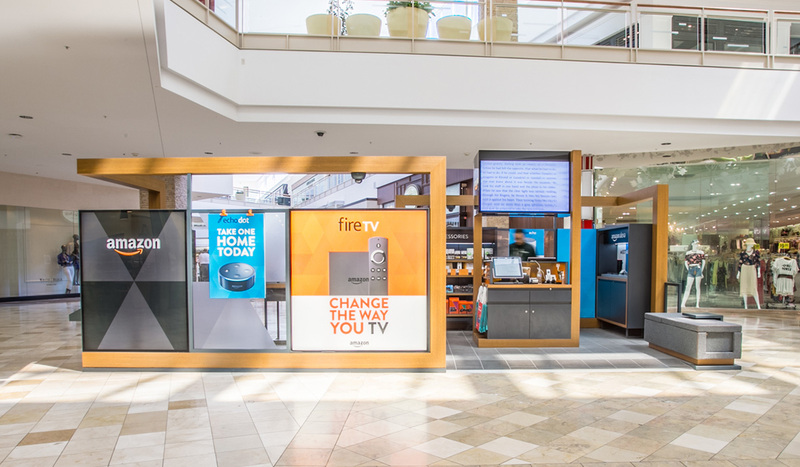 Working exclusively at nights so as to not disturb mall patrons, we completed the project both on schedule and on budget. 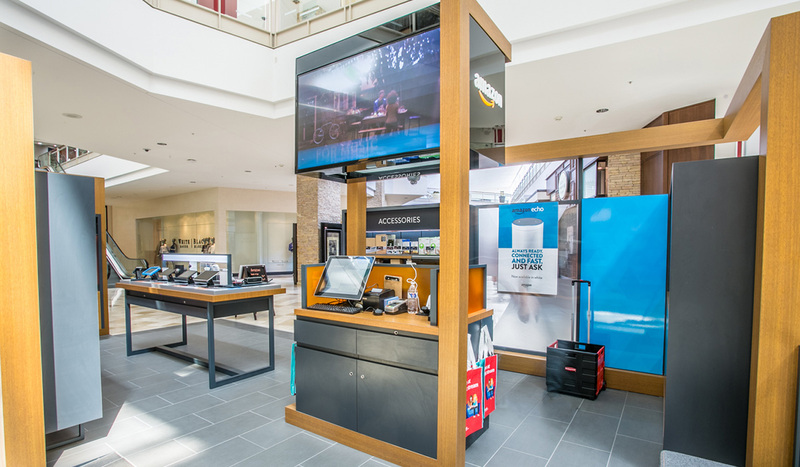 The end result is a stunning kiosk that doesn't hinder the walkability of the area. 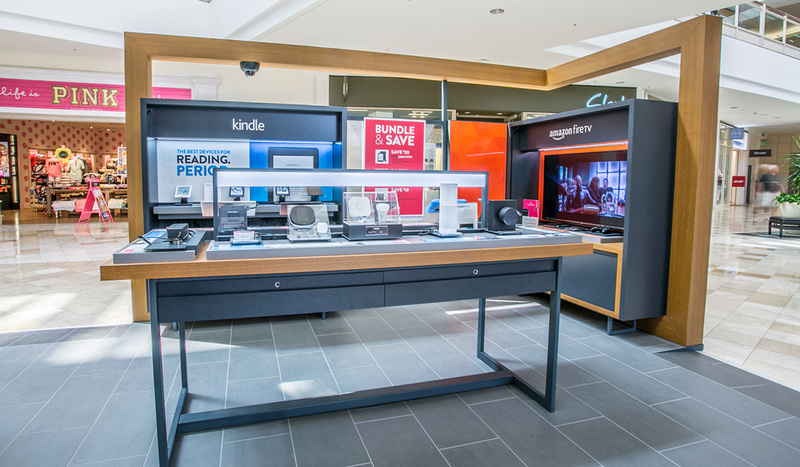 It invites visitors in and encourages open discussion and browsing of Amazon's high-tech products.